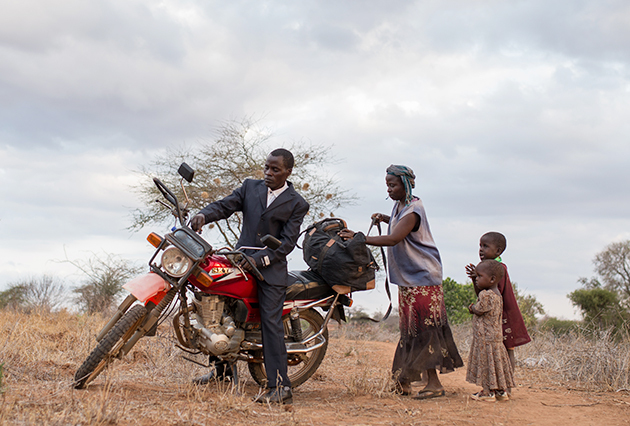 Kisilu, a Kenyan farmer, uses his camera to capture the life of his family of seven children and their neighbors. He has filmed floods, droughts and storms but also the more human costs: his kids are sent home from school when he can’t pay the fees; men are moving to towns in search for jobs; and family tensions rise. When a storm destroys his house, Kisilu starts building a community movement of farmers fighting the impacts of extreme weather. He brings this message of hope all the way to the United Nations Climate Talks in Paris. Here, amid the murky cut and thrust of politics at the biggest environmental show on earth, Kisilu and Norwegian filmmaker Julia Dahr's relationship takes on a remarkable twist, shedding a powerful light on the climate justice movement and the vastly different worlds they represent. For the Best and for the Onion! A verite documentary that captures the rhythms of agricultural life in Niger, and how the vagaries of market price and harvest can affect the most intimate personal decisions.